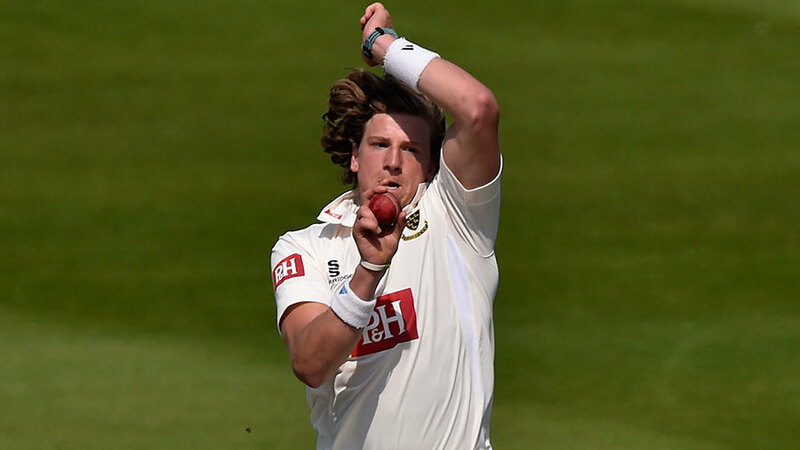 Matthew Hobden, the Sussex pace bowler, has died at the age of 22. The news was announced by his county club late on Saturday evening. Police Scotland announced on Sunday that Hobden had died in the Forres region in north-east Scotland, about 25 miles east of Inverness. They said his death was being treated as "unexplained" but preliminary enquiries did not suggest suspicious circumstances. "Sussex Cricket is deeply shocked and saddened to hear of the passing of Matthew Hobden," a Sussex statement said. "Matthew was an exciting young cricketer with a big future ahead of him in the game. He was a fantastic individual who had progressed through Sussex's Youth and Academy ranks, having been born locally in Eastbourne. "He made his first-class debut for Sussex in 2014 and had represented the county across all three formats over the past two seasons. He will be greatly missed. "Sussex would like to offer their deepest condolences to Matthew's family and friends at this difficult time. "Players and staff will be offered as much support as is possible and we would like both Matthew's family, and everyone connected with Sussex Cricket, to be respected with privacy at this time." Angus Porter, the chief executive of the Professional Cricketers' Association, said: "The PCA are deeply saddened to hear about the death of Matt Hobden at the age of just 22 and our thoughts and sympathy go out to his family, friends, colleagues and all at Sussex. "Matt was a young seamer with immense potential and he had been identified by Sussex as a player with a bright future in the game when he took two five-wicket hauls playing for Cardiff MCCU. Hobden made his first-class debut in 2012 for Cardiff MCCU and his first-team debut for Sussex in a one-day match against Nottinghamshire in 2013. His first-class Sussex debut came in 2014 and in 2015 he played in 10 Championship matches. Overall he claimed 48 first-class wickets at 39.35. He had been named in the fast-bowling group for the Potential England Performance Programme late last year. Kevin Shine, the ECB's lead fast bowling coach, said he has seen enough to Hobden during his time around the PEPP to say he would be an England bowler of the future. "As a player, I remember the first time I saw him just thinking 'wow'. He was the strongest, most powerful cricketer I've ever seen on that programme - up there with elite athletes from different sports. His potential was huge, he was improving rapidly and I'm certain that he would have played for England. "But for all that, my over-riding memory of Matt will be of his character, he was a wonderful lad. It's devastating for all who knew him to have lost him so young." Tributes were quick to come from fellow cricketers. Matt Prior, the former Sussex and England wicketkeeper, tweeted: "Thoughts & prayers with all of Matt Hobden's family at this tragic time. A great guy with a huge future taken far too soon. #riphobsy." Eoin Morgan, England's limited-overs captain, posted: "Thoughts and prayers are with Matt Hobden's family and friends at this extremely difficult time."